It has turned out to be a pretty darn busy night of new game releases, as I’m literally finishing up this list as all these games are arriving in the US App Store. They just kept on coming. Besides the big-name titles like Age of Sparta from Gameloft, Heavenstrike Rivals from Square Enix, and Overkill 3 from Craneballs, there are a ton of more low-profile but promising looking games out tonight. A duo of games from Butterscotch Shenanigans with Flop Rocket and Roid Rage, an interesting prison simulator called Prison Life RPG, an extreme version of soccer called Striker Arena, a passion project RPG called Echo Dawn which actually looks quite excellent, and a trio of games with punctuation in their titles: Okay?, Ones!, and Mayhem! Oh, and be sure to catch the trailer for Symmetrica which is awesome, and the game itself looks great too. So put on your perusing hat, carefully look over the list of games below, and let us know which ones you’re interested in picking up. 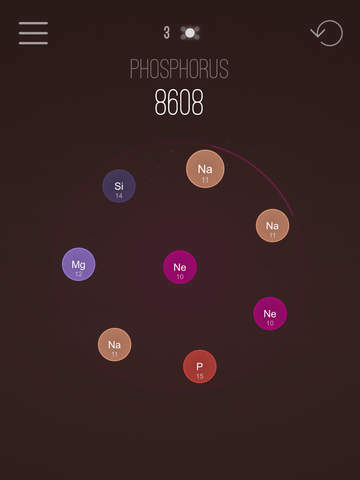 Atomas is a fascinating puzzle game, which you can learn in seconds but will entertain you for weeks. The perfect game for your spare time! Your little universe starts with hydrogen atoms only but with the help of the energy rich plus atoms you are able to fusion two hydrogen atoms into one helium atom, 2 helium atoms into one lithium atom and so on. Your primary goal is to create the valuable elements like Gold, Platinum and Silver. But watch out, if your universe is overfilled with to many atoms it will cause a big crunch and the game is over. One way to prevent this is to build up long symmetries in your atoms and start big chain reactions. Missiles are falling on our city and someone must stop them! Use the power of loud, catchy music to destroy them and save the city! Explore a world full of unique creatures. Capture, raise and battle them to discover all the world has to offer. Every Creature is unique and how you raise them directly effects what creature they evolve into. – Collect over 110 unique Creatures. – Evolution chains with multiple branches. – Participate in events where you can collect rare and exclusive creatures. Regular stone -> Warm-blooded stone -> Not very clever life form -> Stupidly cute young creature -> … Can you discover the entire chain? Rules are simple: connect, discover and upgrade. 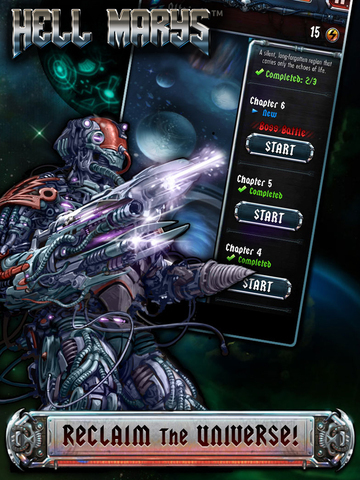 Unveil the world of Echo Dawn, a classic console-style RPG where discovery, strategy and challenge are at your fingertips. Fully customize your party, stats, and difficulty level. Oh and in the process you’ll save the world and be a hero of LEGENDARY proportions. Ninja included! -With hundreds of abilities and items, you choose what works best for your party. 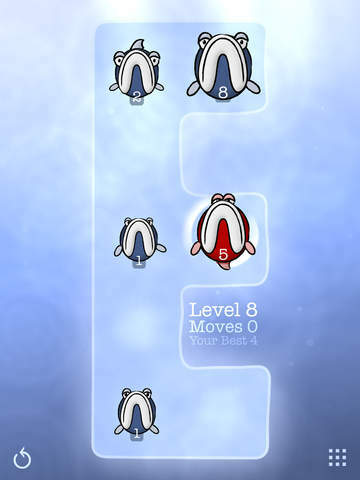 -Each level, you decide 3 of the 6 stats you want to improve for each character. -Play defensively with heavy armor equipment and place your characters in the back row. -Or you can decide to be aggressive and dual wield with your characters in the front row for maximum damage. You will not be able to resist playing The Empty, again, and again, and again you will want to stay in the empty objects. Will you manage to do it? There is always a bigger Fish than you! 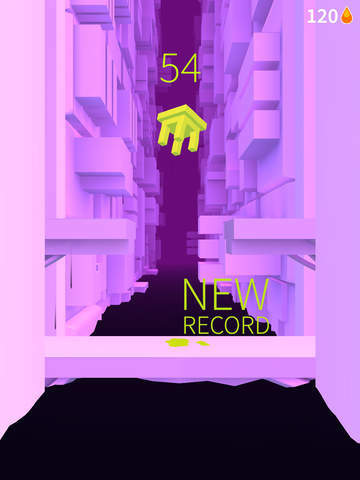 Fisk is a puzzle game based on a 2048 mechanics. Incarnate a red fish who tries to survive by swallowing smaller fish than him! But be careful, big fish are waiting for you, ready to eat you as well. Be Smart and try to swell bite after bite to be able to eat them all!! Solve more than 200 levels and become the biggest one at the end. Pilot your Flop Rocket through a 5 kilometer cave filled with dragon-like Spaceducks, enormous rock-worms, and other space-time anomalies as you try to prevent an underfunded space program from going bust. Why is your space program housed in a cave? GOOD QUESTION. The once-prosperous aerial kingdom of Lunnain lies in tatters, assaulted from above by the Fallen – ruthless monsters of nightmare who seek only complete destruction. But the people will not take their fate lying down, and their strike back at the heavens starts now! Only you can save the universe! Band together with Peacekeepers across the globe and use your clan of lusty ladies to crush the enemy in this unique card battle game. Hell Marys brings a melt-your-face element to the realm of card battle games with its intuitive flick-based combat system. In Hell Marys you’ll recruit gorgeous, powerful women and beastly men to fight for their universe against the corrupt elemental gods. As you battle through the dark fractured universe, you must upgrade and evolve these poster-worthy vixens and brutish men to strengthen your squad and continue to deal head-banging blows to the enemy. 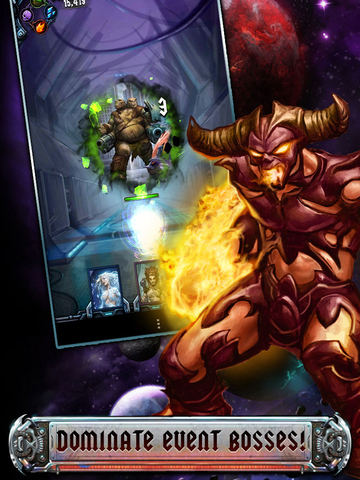 Use the elements against the corrupt gods and fight back with Earth, Fire, Ice and Metal. So, grab your meanest weapons, recruit the baddest broads, and rage into the cosmos for the battle of the millennia! Something horrific has been unleashed and it’s turning its victims into something far more heinous than your run of the mill zombies. Lock your doors, board up your windows and brace yourself for a new kind of evil… The Hopping Dead! 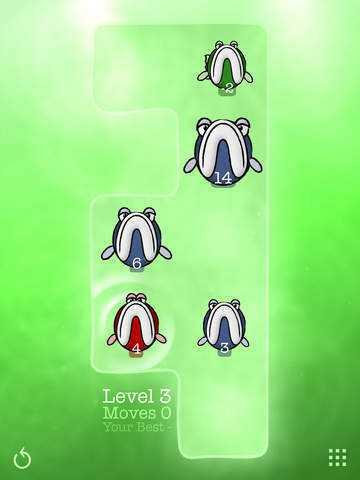 The mechanics are simple: pick from six different characters and hop your way through four unique levels by tapping on the left side for a small hop and on the right side for a large hop, killing zombies as you go. The unique simple controls allow for a fun yet challenging gameplay experience. 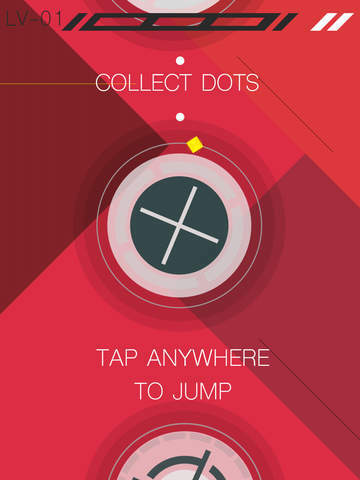 Kyubu is a very simple and addictive game. Use one tap to turn the cube. You must go as far you can. Collect the stars to score more points. Download LikWit now and start flowing through the coral reefs in the first FREE liquid puzzle game! Beat the colored mutants, bombs, teleports, barriers and tar obstacles to flood your phone or tablet! Slide and absorb colored drops and get ready for this fluid adventure! Be liquid, my friend! 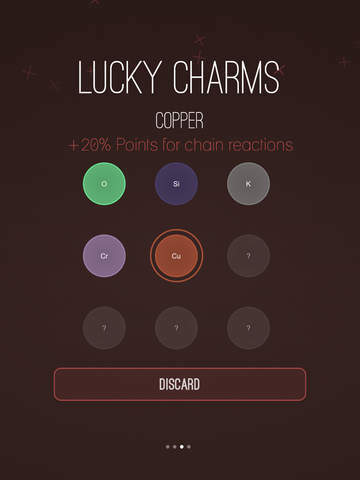 A hypnotic avoidance game where your reaction and reflex skills will be tested to the limit. Avoid sequences of rotating obstacles while experiencing stunningly beautiful scenarios and gameplay. A total thrill and rush of multiple energies at once. MAYHEM! is the frantic, frenzied 2D arcade game. Dodge lasers, sidestep mines and collect cash pickups in the Global Smash Hit Game Show: MAYHEM! Can you beat the clock to conquer all Zones, become the ultimate contestant, unlock Endless Mode and top the leaderboard? Warning: As with all the best arcade games, some players might find MAYHEM! EXTREMELY DIFFICULT! The history of medieval Europe is rich in bloody wars and conflicts. 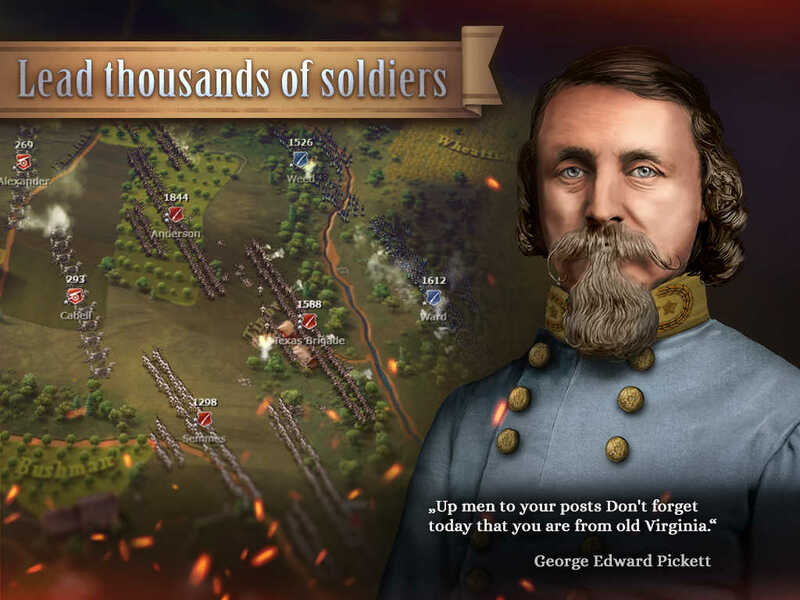 The Norman invasion, the Crusades, the Hundred Years’ War, the Reconquista, the Wars of the Roses, the Albigensian Crusade and endless peasant riots… A new game in the Strategy & Tactics series gives you an opportunity to try your strength in confrontations between the most ruthless conquerors. In Medieval Wars: Strategy & Tactics you are to lead the armies of England and France as well as the armies of crusaders in three campaigns and try to win the biggest wars and battles of European medieval history. Scenario maps will let you take part in Russian feuds, stop the Saracens under the flag of Charles the Great and lead The Hussites. Play the best puzzle game, “Ones!" “One more game!" 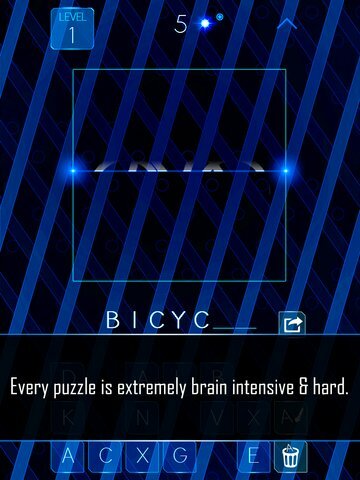 All player say this word as the first word after playing the game. A very simple rule, but once you start the game, it’s hard to stop. 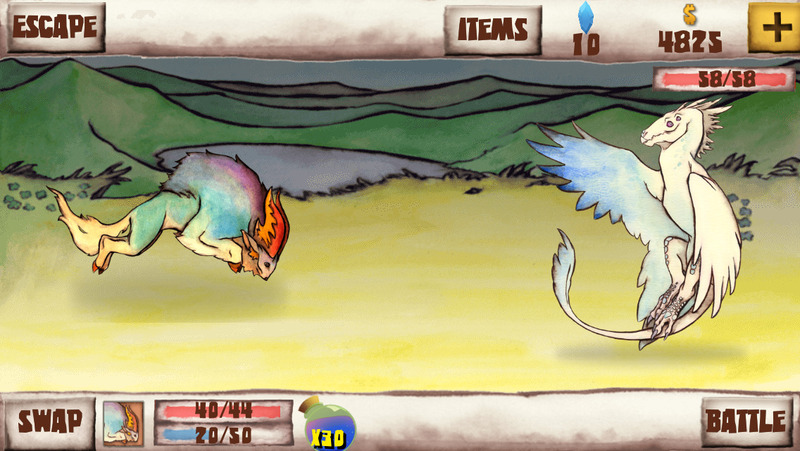 Pavel Quest is a puzzle platformer requiring split second execution and problem solving skills. Pavel is a hero who has been captured by the diabolical mastermind Lukas. Taken to Lukas’s castle on his own private island, Pavel must make his way through the trap filled castle to regain his freedom. Created by ElevenSeventy, a team of two game lovers, Pavel Quest is the first commercial product released by ElevenSeventy. Having worked on multiplayer shooters in other jobs we knew how hard it is get complicated games right with limited resources. So we opted to aim for a simple concept, and make it great. Over time we added features like gravity anomalies, bounce pads, fireballs, acid spouts, secret characters, and a replay system. All while preserving the balance of simplicity and difficulty. Pavel Quest is a hard game, but it is rewarding as well. When you beat a level, all of your deaths are shown in a replay along with your successful run. Pavel Quest is a game aimed at players who love old school and retro platformers like Super Mario Bros, Sonic, and Super Meat Boy. With 30+ unique levels of scaling difficulty and a secret unlockable character; Pavel Quest will keep you playing long after you beat it. Prison Life is a Survival Role-Playing game that places you behind bars. To survive the punishment of the penitentiary system, you’ll need to stay healthy and fit, gain allies, eliminate enemies, bribe the guards, bet in illegal boxing matches, and more while pushing for parole or planning an escape. With more than 100 prisoners to interact with, you’ll never feel bored! Watch TV, call your grandma, learn skills, craft items, get bullied, wash toilet, flirt with the pretty Doctor in Sick Bay, bribe the guards or just idle around! Make friends and join gangs to increase your defense, fighting, and, of course, escape power. Be careful though, prisoners your offended will beat you up or even kill you! There are many ways to break out of prison. You just need to collect the proper tools and talent to pull off the perfect plan! Battle your friends for aerial supremacy in Rocket Joust! Jump in with up to 4 human or AI competitors on the one device, in a wild contest to knock each other from the sky. Play across multiple levels and modes, using a host of quirky characters, and show your friends who the best jouster is! 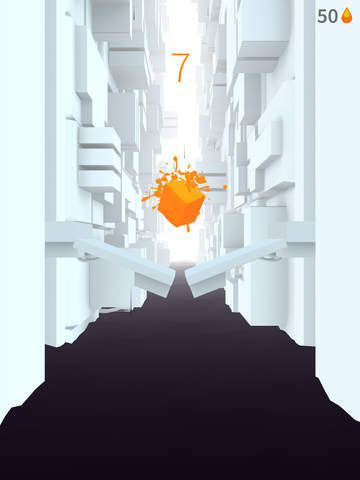 Collect precious Juice as you attempt to stay alive in an infinite asteroid field. Don’t worry about the hordes of interns you kill in the process, those interns are unpaid! Plus, the Bureau of Science has all the super-fragile ships you could ever want! 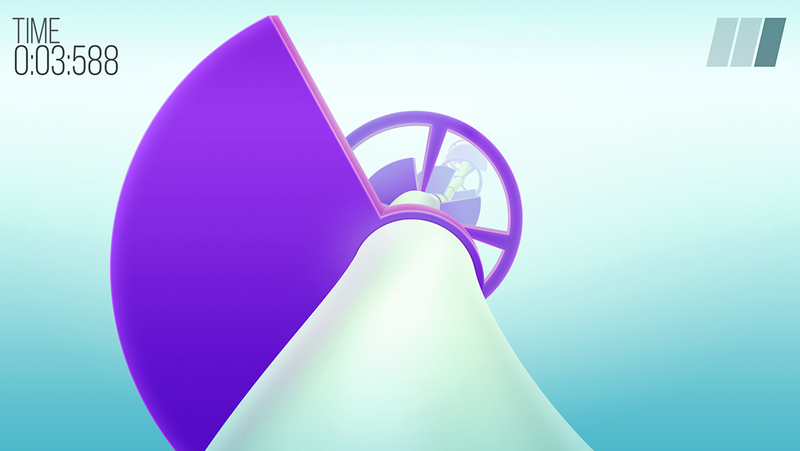 ROTATE – ZEN JOURNEY is a journey to an endless rotating world. Experience the state of “Anatta”. Put on your headphones, relax and enter this abstract world of colors and shapes. “Slashing Demons" is the untold story of an endless fight between human kind and divine forces. Hundreds years ago, human greed and selfishness triggered Gods’ wrath who decided to send their monstrous beasts to destroy humanity. Entire armies failed to defend the Earth and you are the last hope for those who survived. Will you be brave enough to defy Gods’ creatures and change mankind’s destiny? 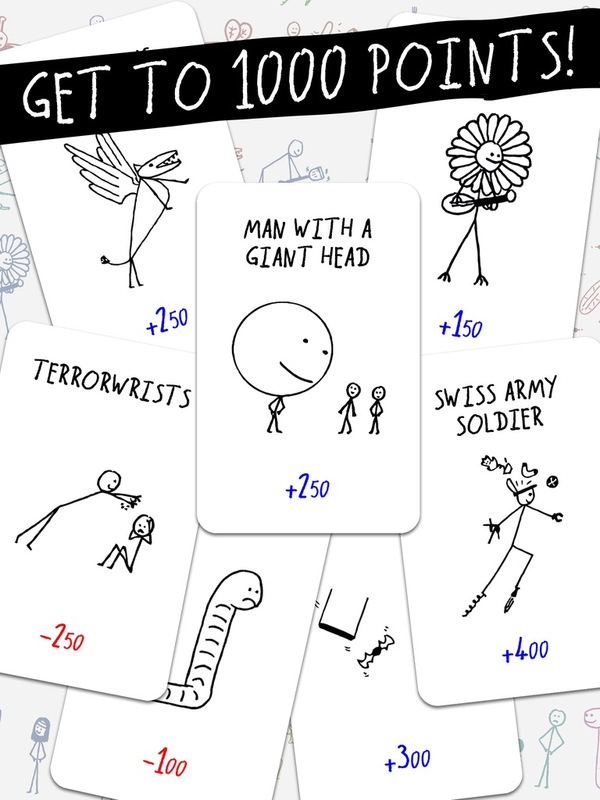 Draw your sword and show your courage by slashing gigantic monsters. But be careful and pay attention to their disgusting tongues because if they catch you, you’ll be crushed to death, in a slow and horrible agony. You can also collect gems to unlock new warriors. Valiant knight, bloodthirsty berserker, pirates… choose your own style to face Gods’ punishment. 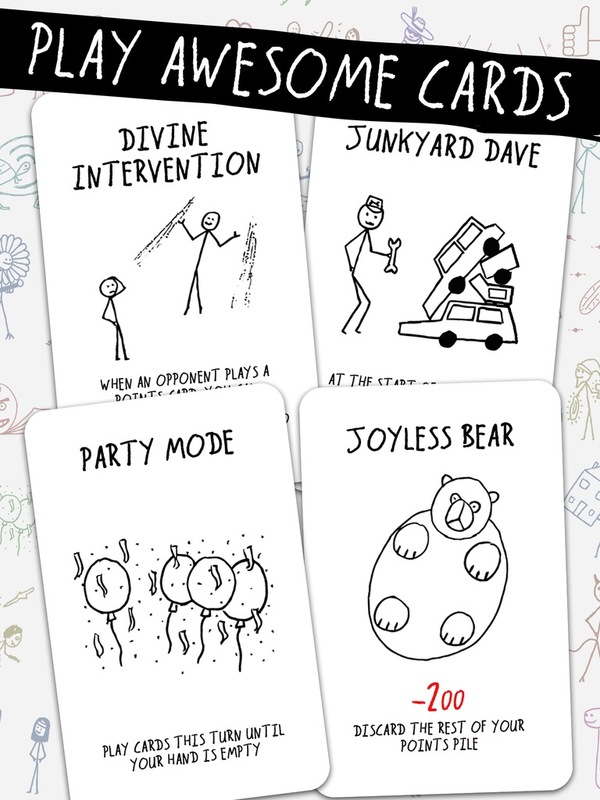 The points and puns card game arrives on iOS! Play Sopio anywhere, even if you don’t have any friends! Get to 1000 points to win before your opponents! Play cards on yourself! Play cards on them! Play cards on no-one and just enjoy the pictures! Somewhere, in the depths of the void, a lone star-fighter prepares to make its final stand. 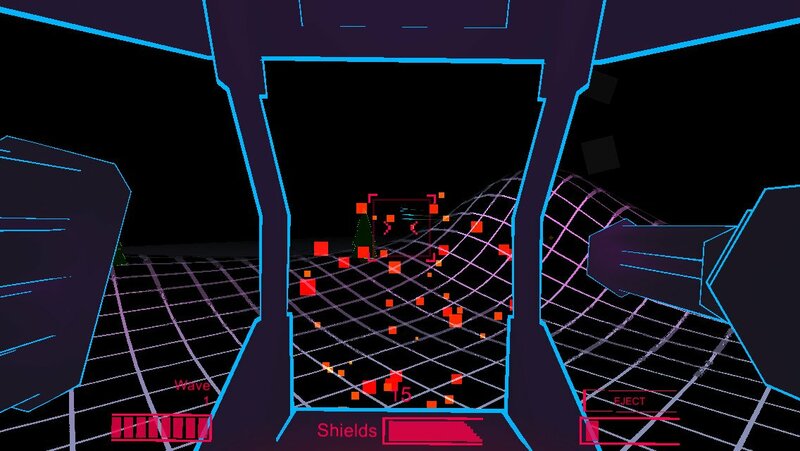 Star Drift is an endless space gunner. It’s super easy to pickup and play, just touch anywhere on screen to move up, release to drop down. Your weapons will take care of themselves. Join Vikings, Gladiators and Samurai to play the Soccer of the Gods! 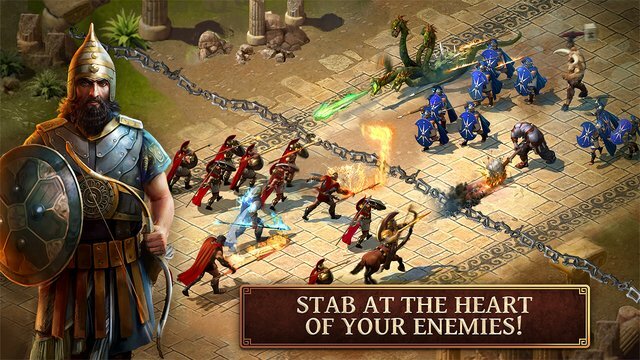 Striker Arena is a 3D tactical-action fantasy soccer game with warriors fighting in arenas. No rules! Even allows 2 people to play side-by-side on one device at the same time! You control a Striker team from one of the old tribes. Your objective is to get the ball, pass it, and shoot it into the arena vortex. As you try to score, you will be able to move your players, intercept opponent passes, and swipe the screen to make passes and shots. Pick up special abilities on the field to tackle, punch and blast whoever gets in your way! Score as much goals as you can and the Emperor will send you to death or Striker’s heaven. There are no fouls in the Soccer of the Gods, so unleash hell on the field! Swipe and swap your way through SUM IDEA’s 100 challenges of mental dexterity. Pit your mind against Professor Addkins by strategically switching tiles into the correct places in the limited number of moves available. Every move counts as some tiles react when swapped – lowering, raising or transforming the action of other tiles. 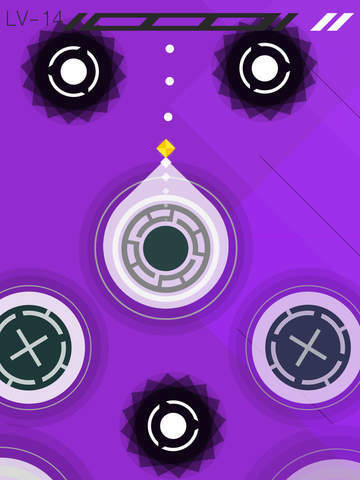 In Symmetrica, you control two spaceships with a single tap in this unique game experience. Fly through space as you narrowly avoid dangerous obstacles in this addictive and infinite cosmic adventure! Symmetrica is simple to pick up, with intuitive one-button gameplay, but don’t get caught off guard; it’s not easy to master! Embark on an epic journey through the lands to grow ever stronger and defeat your enemies. Tap your way through forests, deserts, caves, jungles, swamps and more as you grow ever more powerful and face tougher opponents and creatures. Defeat bosses to travel to new areas and recruit new heroes to join your adventure. Your mighty warrior can attack enemies at a rapid speed and still stand to shield the group from harm. Your healing mage will use healing magic to heal your wounds. Your skilled rogue will shoot poisonous arrows that damage your enemies over time and slow arrows to hinder their advance. Tap with your godly powers to hurt your enemies and heal your heroes. Or unleash your wrath on your enemies with awesome powers while blessing your heroes with helpful buffs. Spend the gold and other loot you gather on your journey to upgrade your heroes and gain new abilities to overcome the adventure ahead. Good luck! You are the last remaining Techno-Wizard. The evil Techno-Viking horde has discovered your techno-tower and are coming to steal your loot! "Best New game" on the Apple Store. 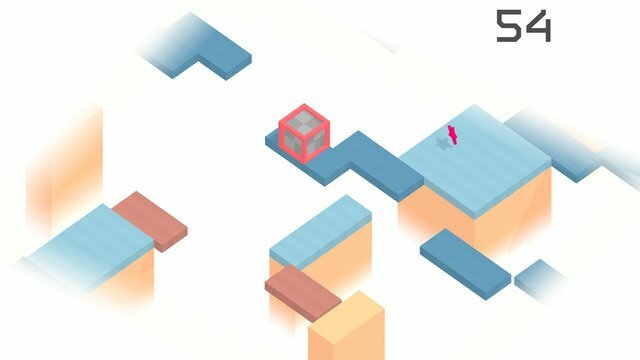 TOP 5 puzzle game in 18 countries. Explore a world full of unique creatures. Capture, raise and battle them to discover all the world has to offer. 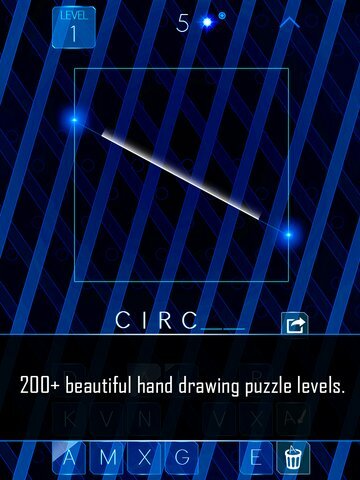 Kyubu is a very simple and addictive game. Use one tap to turn the cube. You must go as far you can. Collect the stars to score more points.